Hiiiiiiii! Such a LONG time since I have written on here – its just been a bit hectic this summer with weddings and travelling and of course my babies! I have so many posts I want to write. An update about motherhood. A post about Positano (feels like forever ago!) A wedding guest dress edit. I also wanted to write a post about anxiety because I like to be really open about the fact that I used to suffer from anxiety and if I can help anyone even one person feel like they are not alone I would be so happy. 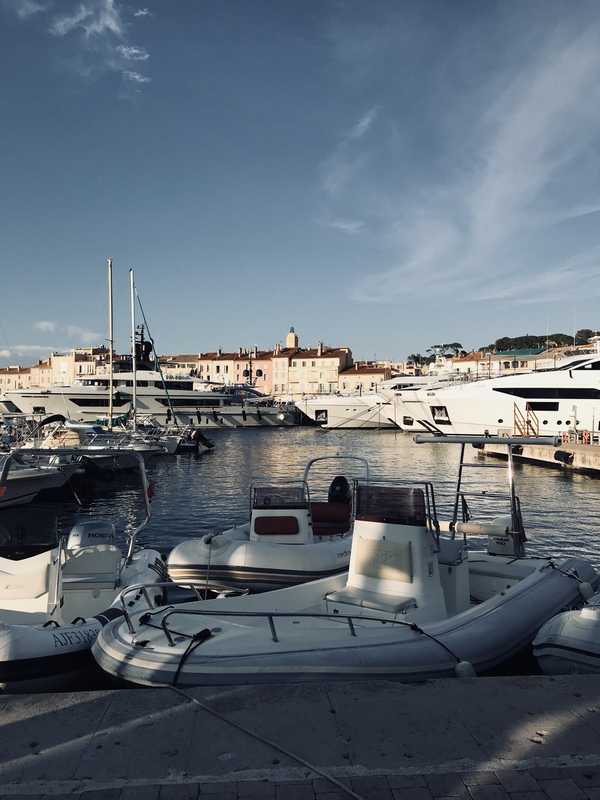 But first of all because its still fresh in my mind – a post about our trip to St.Tropez. We have been many times over the years but this is the first time we went with the girls and this was definitely my favourite trip there. 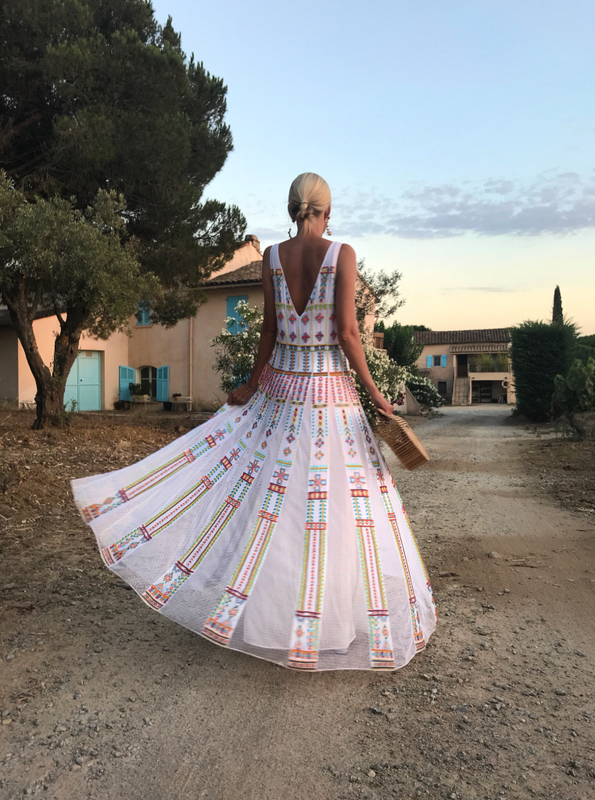 In recent years we have always gone to Ibiza as its so special to us (we are going again in August for a few weeks) but this year we had my husband’s best friends wedding in the South of France so we thought why not combine with a holiday in St Tropez. We had the most amazing time – one of my favourite holidays in recent times. I actually felt really relaxed as much as you can with children, switched off a little. I loved going into town every day and having a stroll around, eating breakfast outside, browsing in the shops, playing with my girls in the pool and on the beach, spending time with my husband. But most of all I loved seeing how happy my girls were. 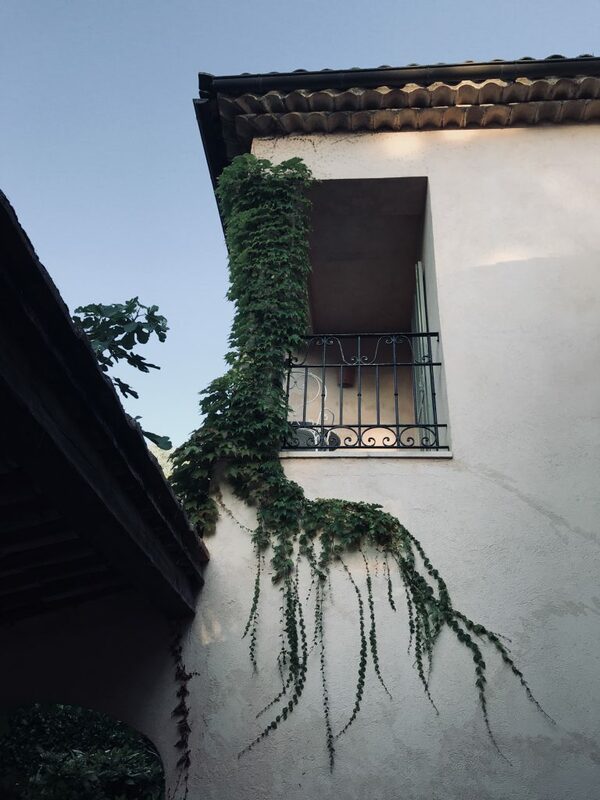 Where did we stay? 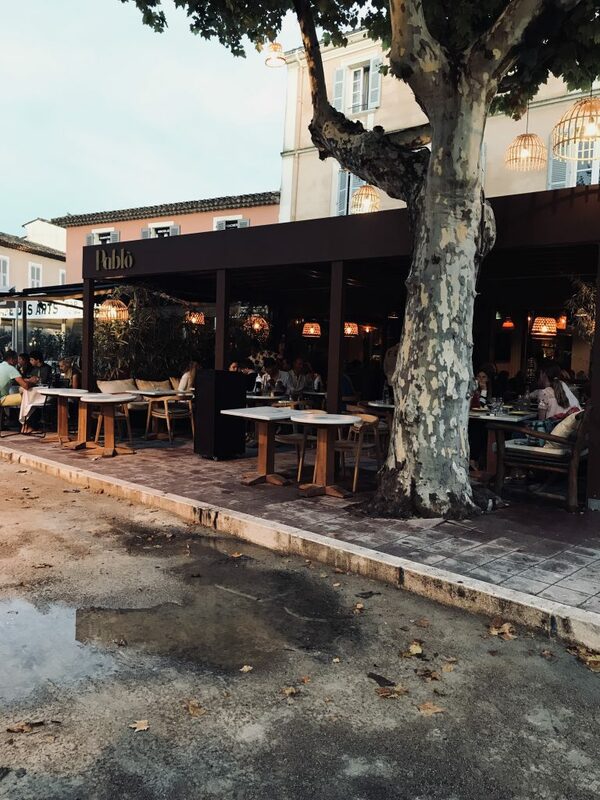 We stayed in a boutique hotel called La Bastide De St Tropez – linked here (not to be confused with Bastide Du Port.) I don’t know exactly why but it sort of reminds me a little of the Beverly Hills Hotel but a much smaller version. The rooms are small and nothing amazing but I loved the location, the pool and the vibe of the hotel. We went to beach clubs many times but we also had some days entirely spent at the hotel and Mila was so happy playing in the shallow end of the pool for hours on end. Other hotels I would recommend are La Reserve, Muse, Hotel Villa Cosy, Le Yaca, and Sezz. Did we take our nanny? Yes. When we had Mila was used to travel all the time and never took our nanny. I loved going just us and always found it was the most bonding time. However with two so close in age I like to be realistic and without a nanny it just wouldn’t feel like much of a holiday. 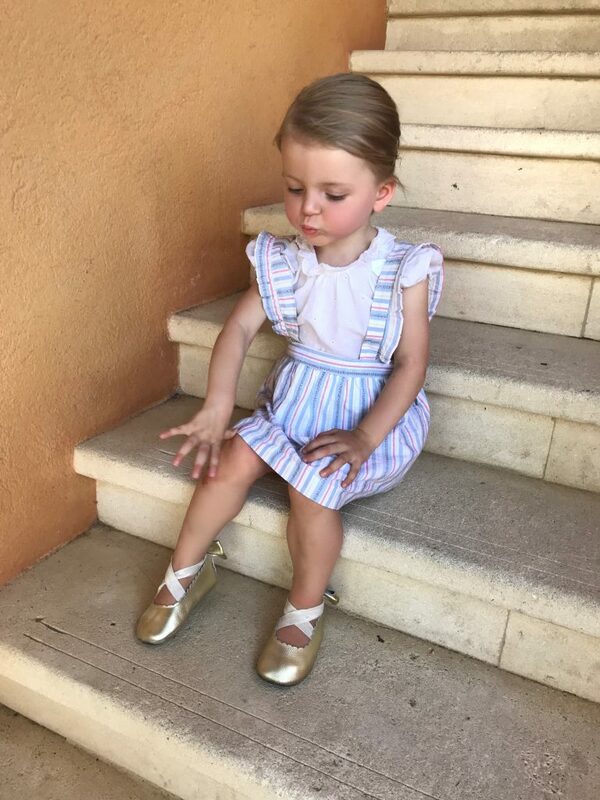 My husband and I are very hands on and with the girls pretty much 24/7 but personally I wouldn’t be able to trust a random babysitter with my girls so unless we go to a hotel with a kids club (Borgo Ernazia and Nobu Ibiza Bay both have great ones) we will take our nanny. It just meant that we had an extra pair of hands and also that we didnt have to drag the girls out in their prams for dinner – and we were able to really focus on “us” when we went out. Having said that we did take Mila out with us for dinner a few times and had so much fun. I would also mention that the girls have the same schedule – a nap from 1-3 and bedtime at 7 so its really easy to plan around them. What are the key things to do whilst there? Definitely have lunch at Club 55. Its iconic and always a fun scene. Go to Senequier for a coffee and a bit of a people watching session. 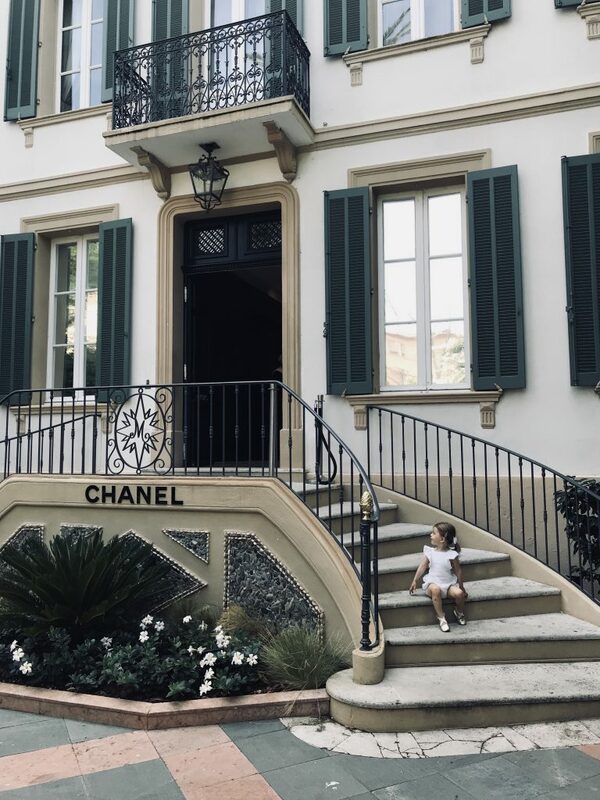 Visit the beautiful Chanel store. Walk around town its so beautiful. Visit the market on Places de Lices on a Tuesday. And have dinner at La Reserve. And of course have a slice of Tarte Tropézienne. 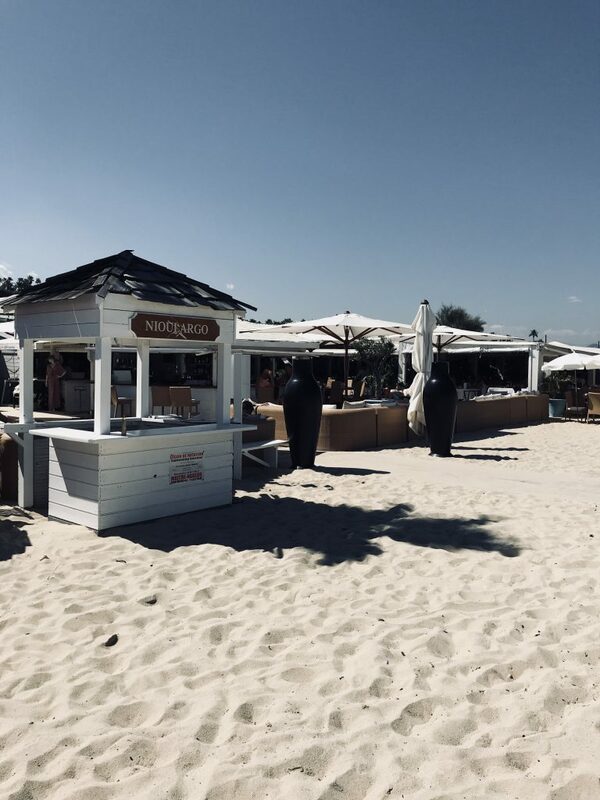 What other beach clubs are worth going to? 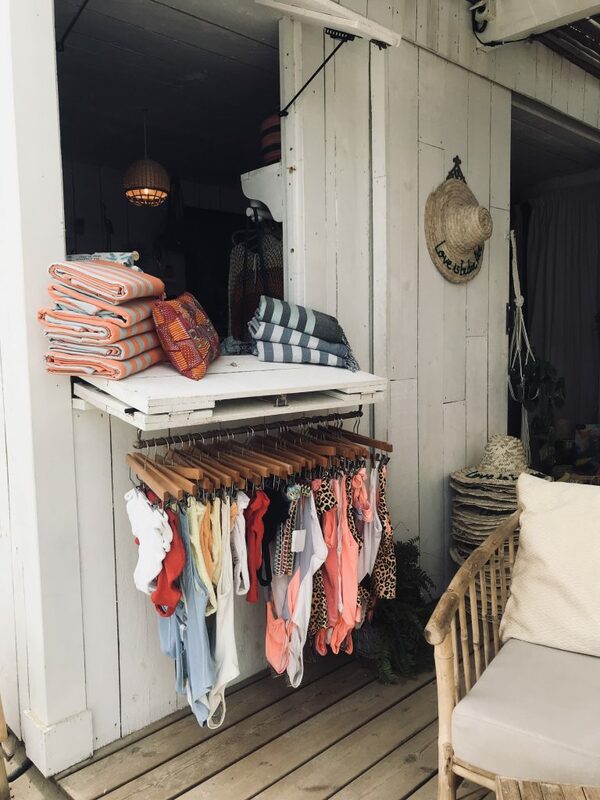 I really LOVED Indie Beach a new beach club – its very rustic and no frills but I loved the vibe plus it has a Baar&Bass shop inside so they sell fab labels such as Seren London. 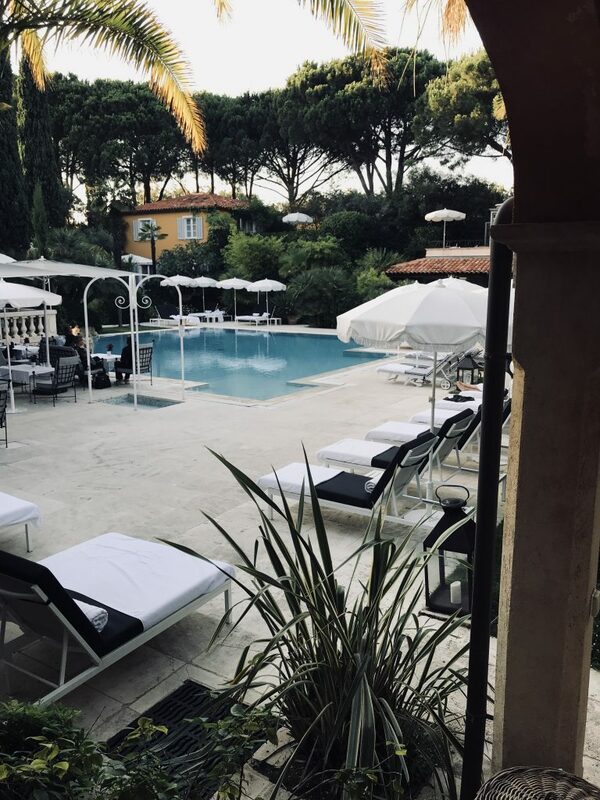 I also quite like Niou Largo and I heard great things about a new beach club called Shellona but we ended up cancelling our reservation and staying by the pool the day we were meant to go. What stores do I love there? Similar to Ibiza, my favourite stores are the beach shops. I always find amazing things and they seem to have such cool brands. But there are also many great stores in town. There are all the top designer brands such as Dior, Chanel, Dolce & Gabbana etc. Zimmermann just opened a store. The gorgeous brand Manoush have a store. Baar & Bass have two – one at Indie Beach and one in town. Also a shop called By Marie – they have a great mix of brands.